Yes, it’s the chess event the world’s been waiting for! Later today, in the famous Botvinnik Central Chess Club in Moscow, a team of blonde players will compete in a blitz match against a team of brunettes. The games will be broadcast live on the internet (video link unconfirmed!) from 5pm, Moscow Time. – an essential condition for being admitted to the tournament is: light clothing for blondes, dark clothing for brunettes. 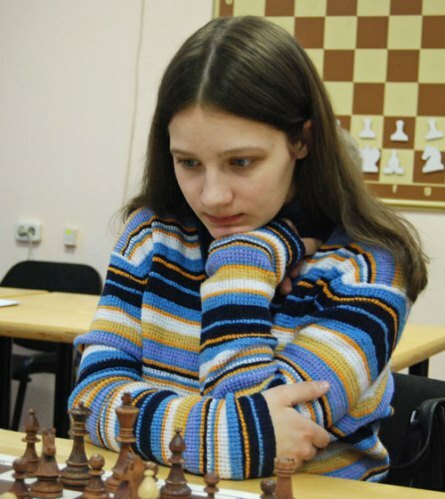 As perhaps a conoisseur of these events asked on a Russian chess site, why not the reverse? 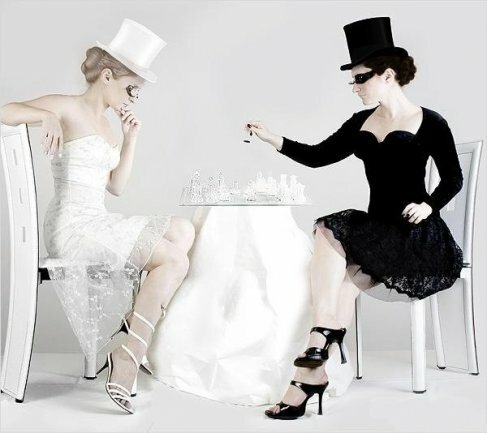 The stated aims of the tournament are: “the popularisation of chess” and “raising the sporting mastery of female chess players”. (the original regulations suggest mechanical clocks and no incremement, which as Evgeny Surov noted should make it entertaining!). There are prizes both for team and individual performances, though no-one will leave empty-handed as there are also souvenirs for all. The line-ups suggest that although the blonde players have an edge on the top boards the brunette team has more strength in depth. In fact, if you’re a blonde chess player in the Moscow area you might consider turning up, as for now the blonde team is still one short!